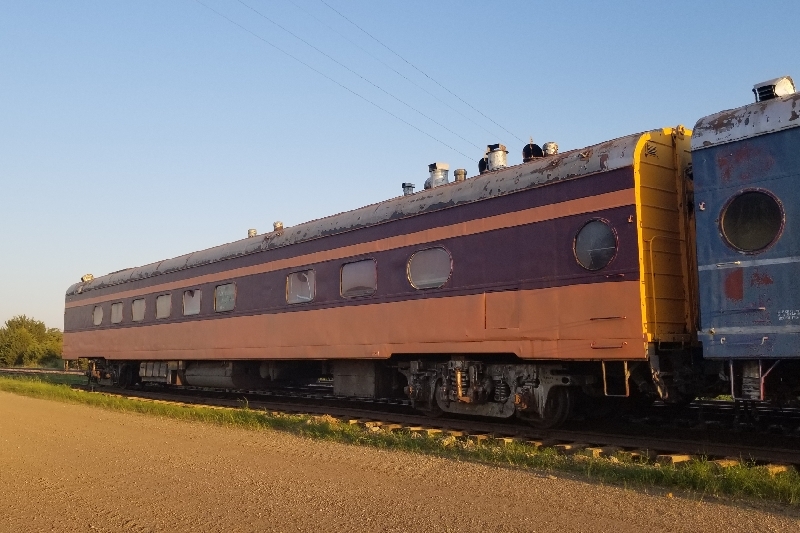 The Illinois Railway Museum is fundraising to move Milwaukee Road "Buffeteria" 126 from Chamberlain, South Dakota, to the museum's campus in Union, Illinois. The 126 is being donated to the museum, and IRM needs your help to get the car to Union. Milwaukee Road 126 was built in 1948 by the Milwaukee Road's Milwaukee shops as a standard 48-seat diner. In 1964, 126 was rebuilt, along with two other cars, into a counter-service style cafeteria car. The name 'Buffeteria' stems from buffet-cafeteria, the service provided on the car. The 126 represents a major gap in the museum's collection of rail dining service, bridging the golden era with current Amtrak services, which this car pioneered. Car 126 features a stainless and glass buffet line, seats for 32 diners, and a full kitchen. In 1971, 126 was sold into private ownership, and the current owner is donating the car to IRM. The Buffeteria is in complete, unrestored, and original condition. $25,000 is needed to move the car by rail and begin restoration work once the car arrives in Union. 126 is a very unique car that has influenced passenger trains for over 50 years. Please consider a donation to help bring the car to its new home at the Illinois Railway Museum. The Illinois Railway Museum is a 501(c)3 Non-Profit organization, and all donations are tax deductible.